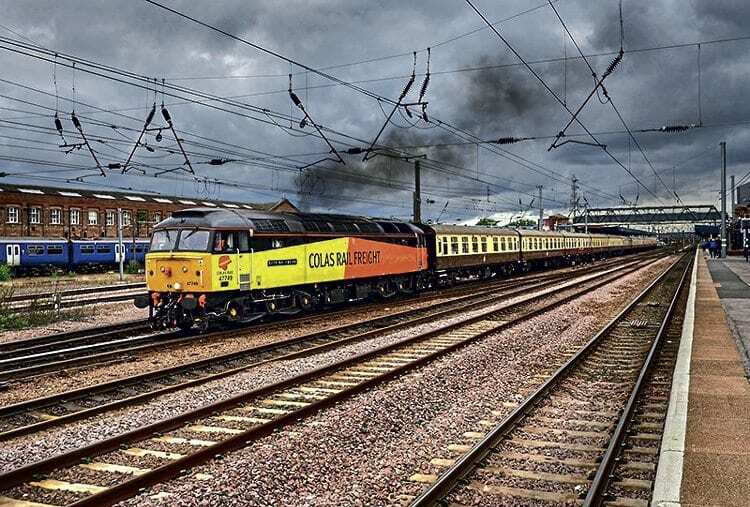 TWO recent railtours operated by GB Railfreight (GBRf) have raised more than £26,500 for three charities. July 15’s ‘The Charitable Chibble’ from Ipswich and last month’s ‘The Absent Shunter’ from Newcastle to Eastleigh (pictured) benefited The British Heart Foundation, Woking Homes and The Ripple Project. The tours were designed to make use of coaches used on staff day-trip trains the previous day – rather than running them empty back to Eastleigh depot. The masterminds behind the charity trains were GBRf managers Paul Taylor and Dale Williams, ably supported by volunteer train managers, guards, stewards and helpers, plus Harry Needle Railroad Company, Electric Traction Ltd and Riviera Trains. John Smith, managing director of GBRf, said: “I am delighted we have been able to raise such amazing figures from our charity rides.